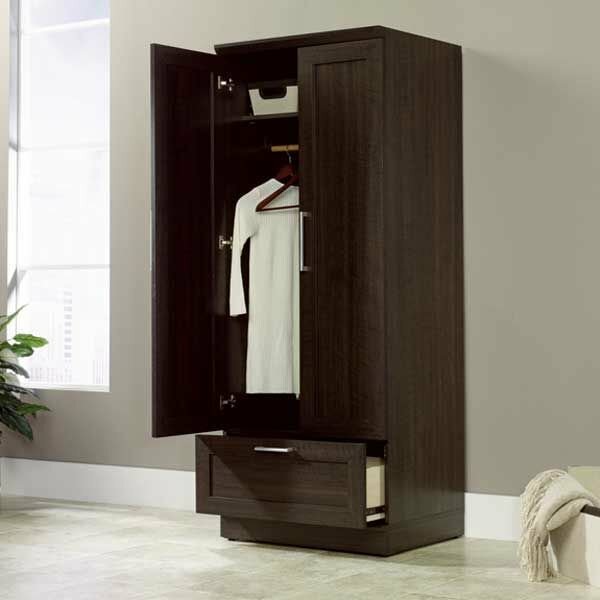 Homeplus Wardrobe Dakota Oak By Sauder. 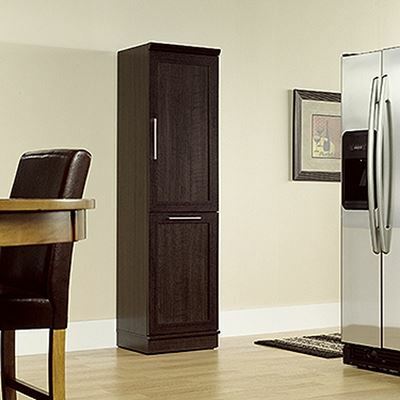 The Home Plus Collection add function throughout your home with Sauder HomePlus Storage. 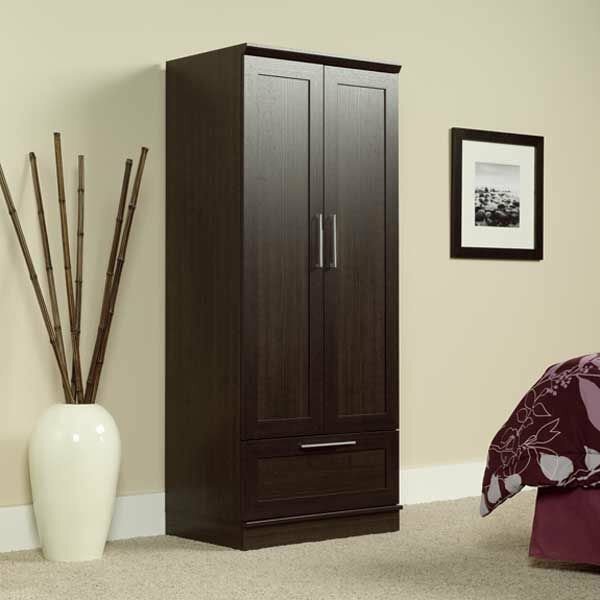 This multi-purpose, multi-function storage system provides the right amount of style to fit any room - and delivers the function to match. 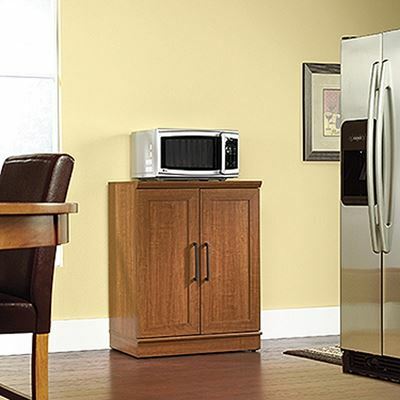 Feature-packed with functional extras like double-deep storage doors, movable shelving, tilt-out receptacle bins, and reversible storage cubbies and doors. 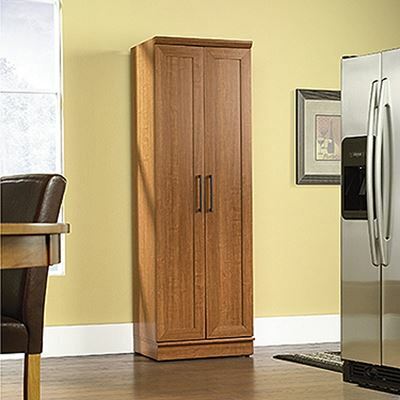 Easy to access areas at right-sized depths provide convenient storage for anything that needs put away. 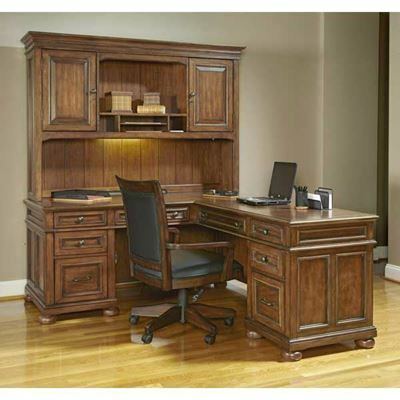 Finished in a warm espresso inspired Dakota Oak, with framed doors and detailed base. Made with pride in the USA! Note: Customer assembly is required on all pieces.